While DMPs, social networks, and advertising giants like Facebook and Google struggle to combat data leakage with the unauthorized transfer of their data to the outside world, a more insidious type of leakage is draining ad dollars largely unchecked. Advertisers and agencies are investing a great deal in targeting technologies like DSPs and DMPs, which account for about 30 percent of the $20 billion being spent globally in programmatic. Even so, only a small percentage of programmatic campaigns have creatives that completely match each targeted audience. In fact, up to 97 percent of programmatic campaigns lack a targeted creative for each audience segment, according to research by AppNexus. Having already overtaken the majority of digital ad spend, programmatic buying continues its rapid rise. In the US, programmatic already accounts for over two-thirds of all display media. Magna Global forecasts programmatic-driven ad spend in 2015 to hit $20.5 Bn worldwide. Growth for years ahead is projected to remain steady. 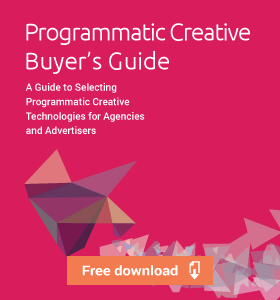 To deliver the right message to the right audience, advertisers and agencies have put about 30% of their programmatic spend, $6 Bn, into targeting technologies like DSPs and DMPs. And yet despite spending billions, the promise of delivering the right message still hasn’t been realized. Research by AppNexus shows that 97% of programmatic campaigns lack a targeted creative for each audience segment. 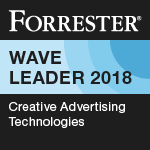 That means the vast majority of programmatic campaigns use generalized or generic creatives, a factor that has lead to heavy concerns from marketers about driving ROI from big data. This year, $6.1 billion will be spent on DSPs and DMPs. 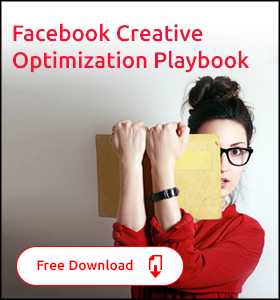 But over 90% of the resulting targeted ads won’t have matching creative. Programmatic creative solves the problem—adapting brand storytelling to become tailored to the viewer. It’s an exciting moment. Through technology, creativity and data can finally dance. 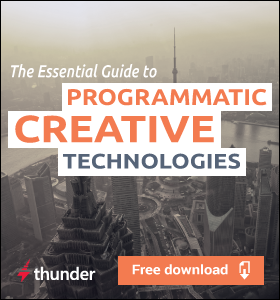 If you are ready to explore the technologies that will transform programmatic marketing at your organization, this is the ultimate eBook to kickstart your journey. When it comes to design, $51.8 billion buys surprisingly little love. What I mean is that despite display being a $51.8 billion market annually, the creative part of display advertising takes a far back seat to media planning and buying. At the core of it, this lack of love stems from the high costs of creative production, particularly because marketers and media folks aren’t able to produce enough creatives to match the scope of what could be done. In my experience, there’s no shortage of copy or concepts to run epic display ad campaigns. Marketers would like to use a test and learn mentality with display, but due to the costs and time involved in creative production, only a single or a few campaign concepts can actually get created. 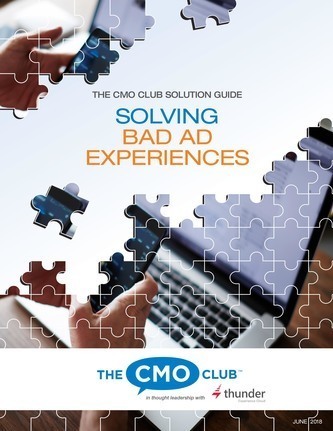 It’s online advertising in 2014 and we’re stuck in a plan and execute mode.